The heroes spotlighted in Battle Heroes: Voices from Afghanistan represent some of the tens of thousands of American troops who, with steadfast boldness, battled a ruthless enemy in knee-deep snow of rugged mountains, in scorching temperatures of sand-blasted desert plains, and in deadly close combat of militant-occupied villages. 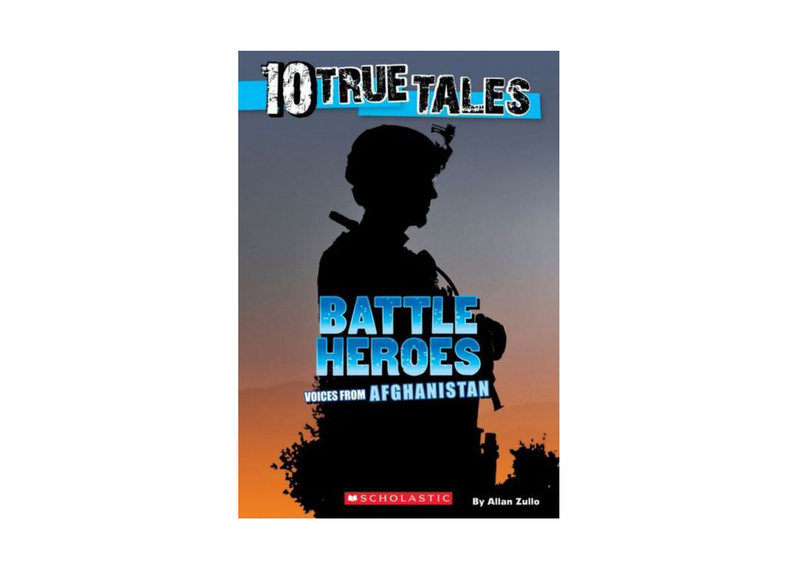 You’ll read ten gripping stories of bravery, including the exploits of Master Sergeant Brendan O’Connor who crawled through enemy fire in a desperate effort to save the life of a severely wounded soldier. O’Connor was a member of a team that became the most decorated Special Forces unit for a single battle in the war. There were so many heroes in the two-day fight that this book includes two stories about them.